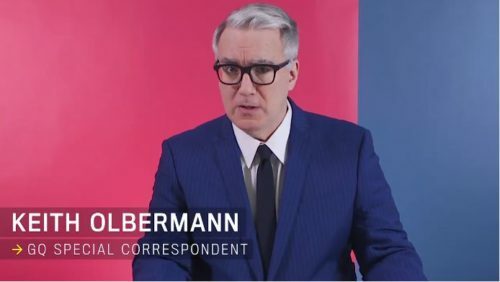 Keith Olbermann has been one of President Donald Trump’s most vocal critics, returning to political commentary with the video series “The Resistance,” hosted by GQ. Now, Olbermann is so confident that we are about to see curtains for the president that he has announced he is once again retiring from the world of punditry. Olbermann noted that the news of a possible deal between Robert Mueller and General Michael Flynn in the investigation into Trump’s ties with Russia. It is seen as the surest sign yet that Trump’s presidency will not go the distance. “The Flynn deal report suggests Mueller has completely assembled the backbone of his case and is now just hanging the meat from it,” Olbermann claimed. The host continued, pointing out that it is possible that Mueller doesn’t even have to prove that the Trump campaign and the Russians teamed up to sabotage the election, because of the amount of obvious obstruction of justice. “Trump could be impeached on just obstruction of justice and a few lesser charges. Nixon was about to be,” he reminded. Trump could also resign for fear of impeachment, the Republicans could remove him to, as Olbermann said, “save their own asses,” with the recent bout of election losses likely heavy on their minds. “Not only were Democratic victories overwhelming, but half of them were little morality plays,” he noted, citing Allison Ikley-Freeman, a lesbian who won a State Senate seat in Oklahoma, and Danica Roem, the transgender candidate who beat her anti-LGBTQ opponent in Virginia. Olbermann predicted that the Republicans could remove Trump before the midterms next year in order to run on having been patriotic enough to remove him. Republicans could also get Trump removed if a majority of them agree that he is unfit to serve as president. If the Republicans don’t impeach Trump themselves before the midterms, the Democrats could do so, if they have a strong showing in the midterm elections. The recent elections make that seem more likely than perhaps it had previously. Finally, Olbermann noted that it is possible that Trump could finally be taken down by the numerous allegations of sexual misconduct against him. While he has been able to avoid retributions thus far, the changing climate around the issue, and the fact that Trump is now denying the authenticity of the Hollywood Access tape suggest the winds might have shifted.